Pick your taps before you start your kitchen fit – adjusting plumbing for new taps is much harder after you have installed your kitchen than before it. Size matters! Small taps for a small sink and large taps for a larger basin. Consider using splashbacks as a hygienic, easy to install and low cost alternative to tiles around your sink/tap area. 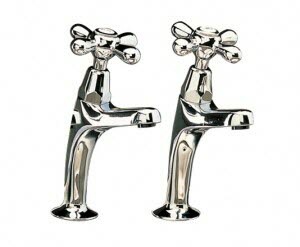 The Pillar style are a pair of taps, one for hot and one for cold, available in both classic and modern styles. 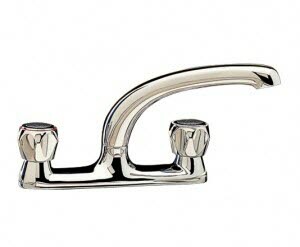 Cheap and simple to fit, choose from traditional cross head or lever handles. 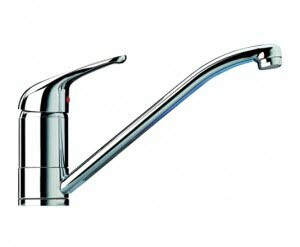 This single tap style mixes hot and cold water in the body of the tap. Two handles either side of the tap control the hot and cold water flow. These taps need relatively high water pressure to work well so make sure to check before installing a mixer tap. 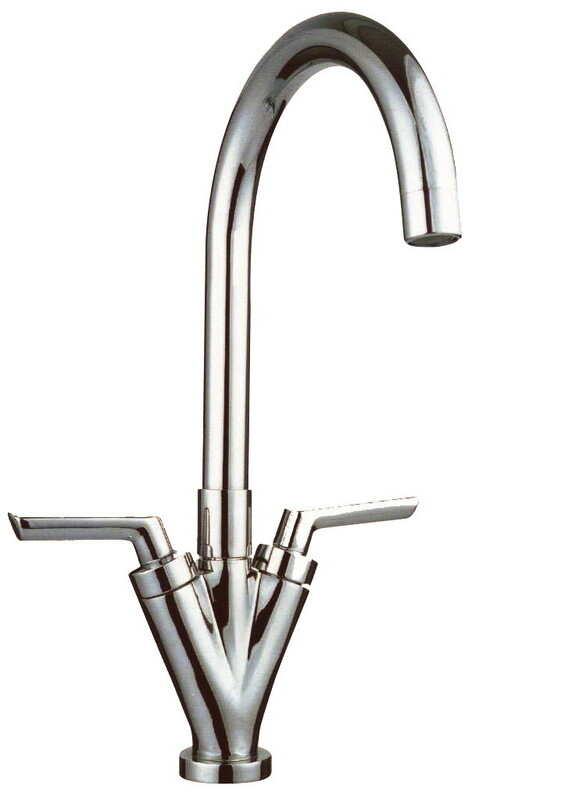 A dual flow tap provides one stream of water, but the hot and cold water flows separately within the body of the tap. 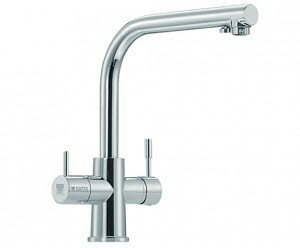 If you want a mixer tap but have unequal pressure between your hot and cold supplies, dual flow types are ideal. Fans of minimalist design will love Monobloc taps – a single lever to control both the hot and cold water flow through one mixer tap. Again, check the water pressure before fitting as they work best if the pressure in the hot and cold water supplies are equal. BRITA filter taps offer the most convenient way to enjoy filtered water – straight from your tap. Stylish and functional, BRITA filter taps have two separate outlets – one for filtered water and one for normal hot/cold water.